Our company boasts of long illustrious history of supplying rolling stock resistors to JR (old Japanese National Railways), private railways companies, municipal transport services, and for use in rolling stocks abroad, as well. We will make the best use of longtime design experience, the manufacturing know-how and help from the design to the delivery of various resistors such as the rechargeable resistors for VVVF inverter controling rolling stock and nothing to say of the main resistors for the resistor controlling rolling stock. 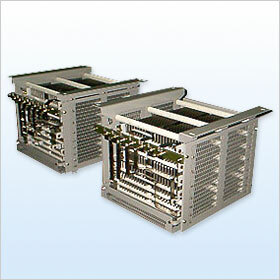 We take pride in our technologies, our storage of know-how data and experience which are at Japan's top level, particularly in the field of resistors for rolling stocks used under severe operating conditions in grade sections or sections with short station distances, where rheostatic (or dynamic) brakes are constantly used.
" The customers is the next process"